Richard Williams is a time served electrician and operates RJ.Electrical as a sole trader throughout Derbyshire and Nottinghamshire area while based within Amber Valley. Offering a wide variety of electrical services including inspection and testing installation and repairs to commercial residential and light industrial clients. 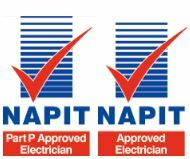 We pride ourselves on the ability to deliver quality and safe electrical solutions in the home and the workplace at a competitive price using quality products from local suppliers. 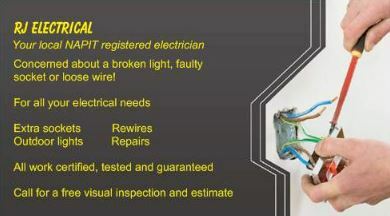 Testimonials are curated by R.J Electrical and are not independently reviewed or verified. "Richard came out straight away and managed to trace a difficult fault, fixing it with minimal intrusion and mess." "Good honest and cheap came out Sunday night straight away and had the job done in no time, nice and polite and knew what he was doing." 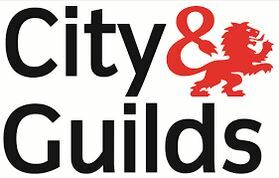 "Richard is a professional Electrician, with a wide and varied experience. He completed extensive electrical work to my property and I am very pleased with his efforts, working to a high standard and very clean and tidy. His prices are entirely reasonable and he is very approachable and comes across as very professionally competent. Coffee with milk and one sugar!"